The inspiration to add a figure or character to a game comes from all over. Game designers may see a movie they like or read a book they think has a cool character that could go well with their game. Such a thing happened when the folks at Iello read The Name of the Wind by author Patrick Rothfuss. 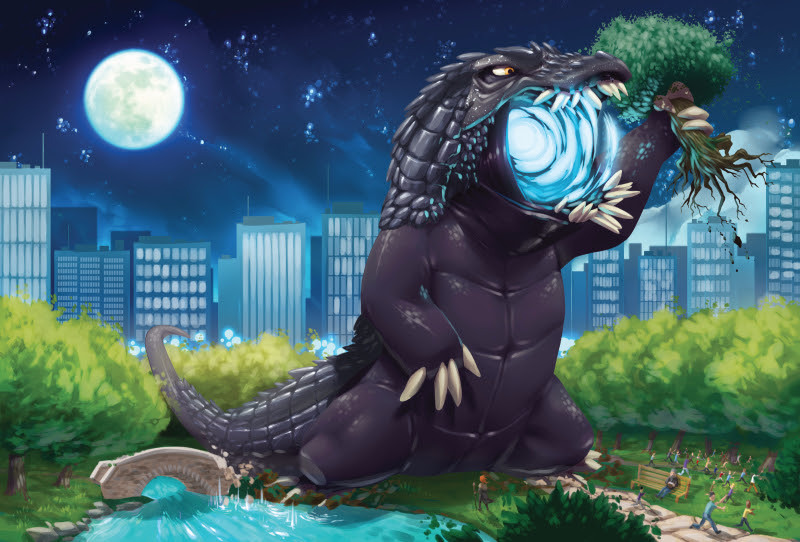 They knew the monster from the book, The Draccus, would be a great addition to King of Tokyo and King of New York. It didn't hurt that apparently Patrick was a fan of the game. So, after some discussion and getting some artwork whipped up, you can now add the Draccus to your game. The first chance to pick up this new monster will be at Gen Con at the Worldbuilders booth. Who are the Worldbuilders? They are a charity organization that is determined to end hunger and bring families and communities out of poverty. To date they've raised over $3.5 million. 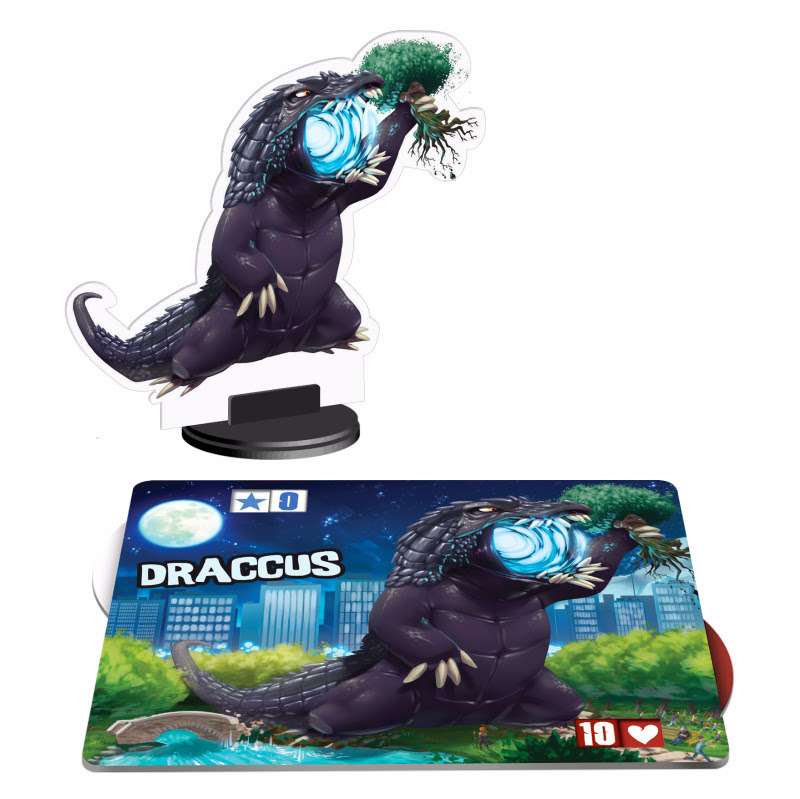 100% of the sales for the Draccus figure will go to the organization.